This 6 inch by 9 inch self-cleaning mat is perfect for business or pleasure travelers. Take one with you to use on your hotel room vanity, bedside table, restaurant, or airplane tray table. The NanoSeptic surface provides a safer place to rest personal items without the fear of diluted poisons or heavy metals found in antimicrobial products. 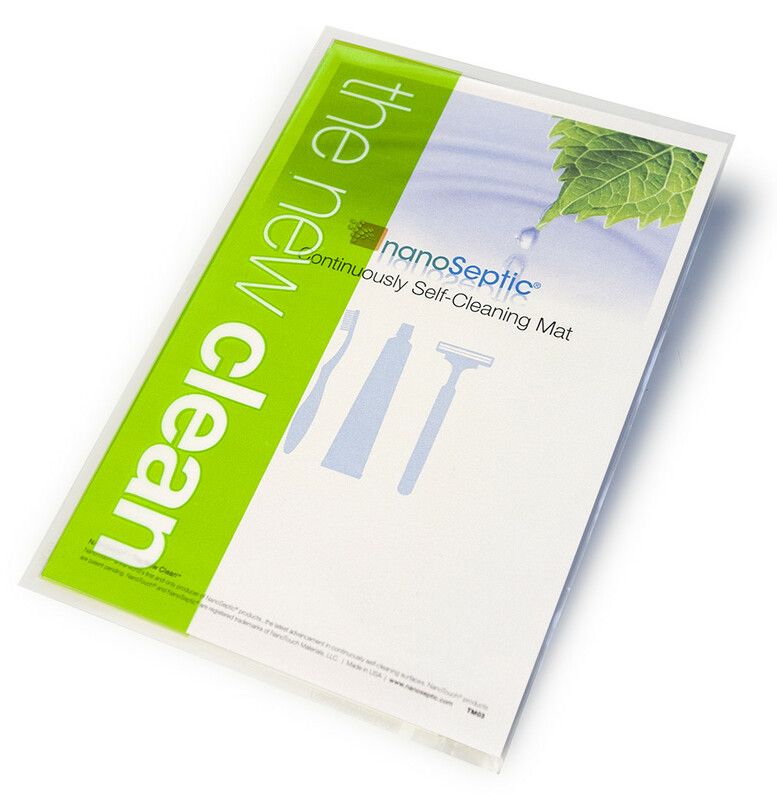 This mat can be washed or wiped off with soap and water or cleaning wipes. Each mat is individually packaged in our tamper-evident, reusable travel pouch.